This typical norman castle of white stone and brick is located 95 km from Paris and around 30 minutes from Giverny (8 km from Evreux in direction of Louviers). 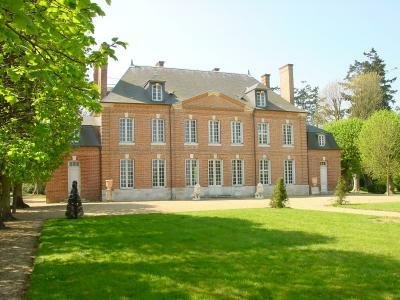 Le chateau d'Emalleville is listed 'Monument Historique' and has a rich past. 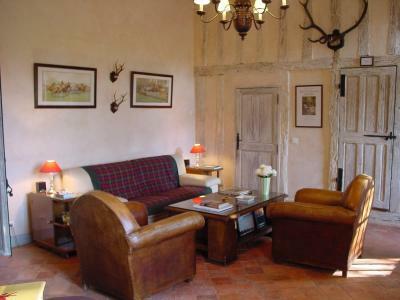 Frederique and Arnaud Tourtoulou will welcome you all year round to enjoy a rest in a peaceful atmosphere. The rooms are situated in the magnificent outhouses dating back to the 18th century on both sides of the formal garden, in the pigeon loft and in the castle. In the outhouses : 5 independent rooms and 2 suites. In the ancient pigeon loft : 1 room. 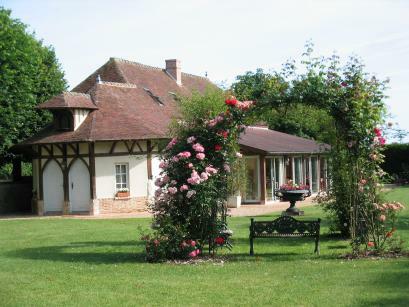 Le Chateau is surrounded by a vrey large park where you will appreciate the quiet environment. Private tennis court. 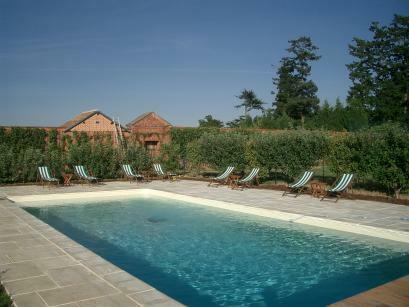 Private heated swimming pool. Bikes. Horse riding at 4 km, golf at 8 km. A living room is at your disposal with a fireplace and satellite TV. Breakfast is served in the dining room next to the living room, in form of a buffet. Breakfast is available from 8 to 10 a.m. or ealier on special request. Breakfast is included in the price of the room. Please advise for late arrival. Payment by credit card VISA or MASTERCARD possible. 50 % deposit on reservation.